The Capital Area Jodokai was established in 2004 when a group of Kaminoda Sensei’s students in the D.C. area were invited to join the Capital Area Budokai . 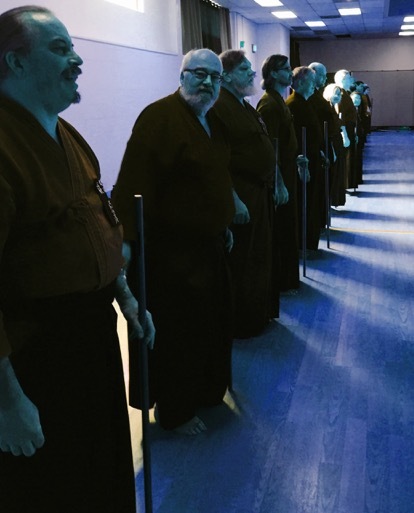 The Budokai acts as a kind of Japanese weapons arts “collective” that shares a dojo and provides cross-art support. 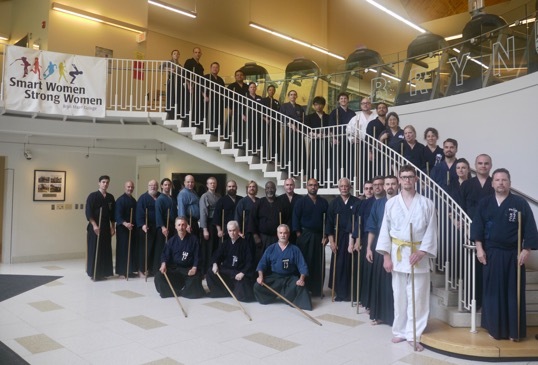 In addition to jodo, the Capital Area Budokai offers classes in kyudo, kendo, naginata, batto-do and mugai ryu iaijutsu. The Capital Area Jodokai has served as a host for semi-annual gasshuku for others working in Kaminoda Sensei’s Tokyo-den style jojutsu since 2005. 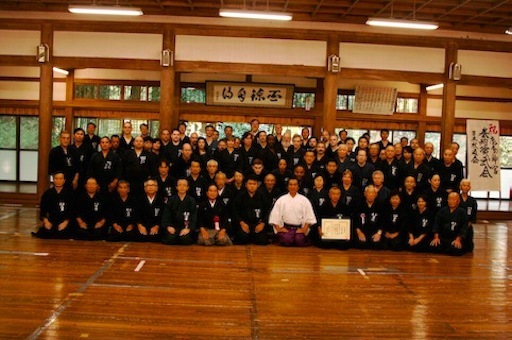 The highlight of these gasshuku came in 2007 when Sensei came over to join in the training camp. Our most recent camp was held in 2017 at Bryn Mawr college outside of Philadelphia. Since January of 2016, Dan Pearson has relocated to Portland, but frequently visits to train in D.C. Day-to-day instruction is ably led by Steve Hick and Joshua Badgley. As part of the Capital Area Budokai our group includes some 20 students. Women make up twenty percent of our membership. Our oldest member is somewhere over seventy and our youngest was 14 when she joined. 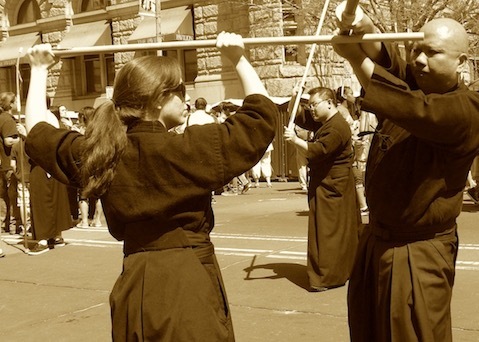 We practice Shindo Muso ryu including Kasumi Shinto Ryu kenjutsu. We also practice Isshin Ryu Kusarigamajutsu, Ikkaku Ryu Juttejutsu, and Uchida Ryu Tanjojutsu. The line up in 2017. 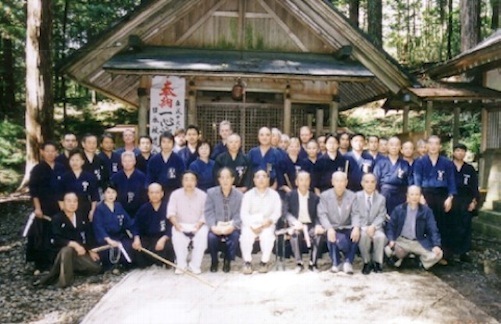 Members of the Capital Area Jodokai have traveled to Japan for gasshuku/training camps on a regular basis for many years. Namiai Kusarigama Gasshuku, Embu, Taikai, 2005.
International Friendship Taikai & Gasshuku, Kashima, Japan, 2006. 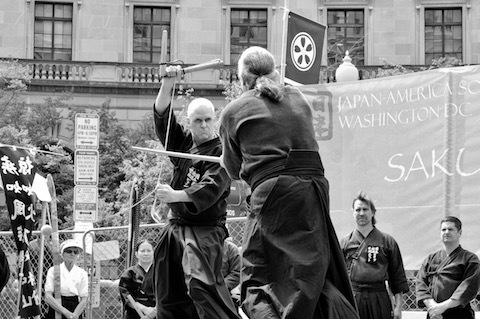 The Capital Area Jodokai performs demonstrations at many events around the D.C. area. If you are interested in having us show this magnificent 400 year old art, or in joining a class, please contact Dan Pearson directly via e-mail.